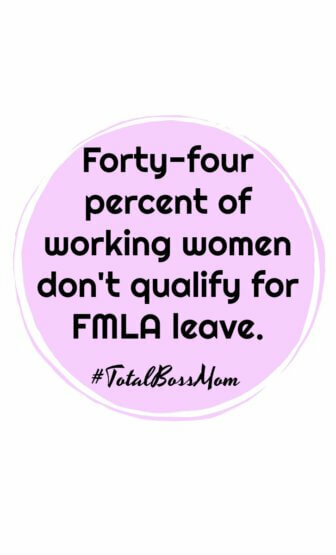 Forty-four percent of of working women don’t qualify for FMLA leave? In a recent survey, 76% of moms say they go back to work before they’re ready? One-third of highly-qualified and well-trained female workers drop out of the workforce after having a child? In addition to the first, second, third and fourth trimesters, there is actually a fifth trimester? To learn more about all these truths, I interviewed Lauren Brody–former Executive Editor of Glamor and author of The Fifth Trimester. I’m excited to share what I learned with you. What is the fifth trimester? We all know about the first three trimesters that happen during pregnancy. Many of us may be familiar with the fourth trimester. This is the period of time a baby should probably still be in the womb, but human brains evolved and grew too big for female human pelvises. So they come out around 40 weeks instead. But the fifth trimester? What’s that? Why are these women going back before FMLA leave ends? Well, we already saw the astounding number of female workers who don’t qualify for FMLA leave. But there’s another problem: even among those who do qualify, many simply can’t afford to take that much time off of work without a paycheck. When should the fifth trimester start? Women are going back to work physically and emotionally drained after going through childbirth. This is not advantageous for the mother, the child or the employer. So when, exactly, should the fifth trimester start? Received a few rounds of vaccinations. Her research also shows that moms started feeling better physically and emotionally around this same time. At month seven–months after they had returned to work–they started getting seven straight hours of sleep every night. Why should businesses provide paid family leave? While conducting her research, Brody talked to many professionals across the board–including a sleep expert. This is how she learned that a sleep-deprived new mother is as impaired at 9am as someone who is drunk. Does that mean we should kick women out of the workplace once they’re with child? “One massive international study by KPMG for Vodafone showed that offering six months of paid leave, plus a temporary part-time reentry option, would save private companies $19 billion annually,” says Brody. Brody notes that it’s not just a financial decision in isolation. Paid maternity leave can be a great marketing tool to help you find some great employees in general. Yes, you read that right: men and women. What can businesses do to retain new mothers as employees? She also notes that when companies provide adequate leave policies, those in the upper echelons of leadership–both female and male–need to take full advantage of them. Um, this is great. But I’m not rich and need to go back to work ASAP. Completely understood. The majority of families currently don’t have the luxury of raging against the machine at this very moment in time. You family just got bigger, and you need a paycheck to provide. Set up systems ahead of going back for every home-duty you possibly can. Establish a recurring online order of household basics like paper towels and diapers. For things like your phone—which you will be more reliant on than ever as you straddle these two worlds—get a great, easy plan. Total Wireless offers a shared family plan with 25GB for $25 per line for four lines. They have a whole campaign supporting being a #TotalBossMom because they get the juggle. That’s their customer. If you have a partner who is not able to take as much parental leave as you, see if they can take what’s called “intermittent leave” and have some weeks at home with the baby right when you go back. That can help get the baby to a slightly older age when it’s easier to leave him her at daycare, and—this is huge—it gets your partner up to speed on baby skills that will ultimately help you have a more balanced sense of parenting forever. Side note: For every month of paternity leave a dad takes, the mom’s earnings increase by 7%! Be as open as you can in your workplace about motherhood…and then push yourself to be 1% more open than that. It will make a difference, even if you’re not in a position to change actual policies. If you are open about the struggle, but then also get your job done, you will change people’s perceptions of motherhood in the workplace. You have to believe that it makes you stronger, even when you’re feeling weak, because it does. Moms come back after baby more efficient, more focused, more able to pivot from task to task, more empathetic. The list goes on and on. And if you believe it, you’ll make others believe it too. Today is National Boss’s Day, but the company Brody mentioned–Total Wireless–has added a twist. 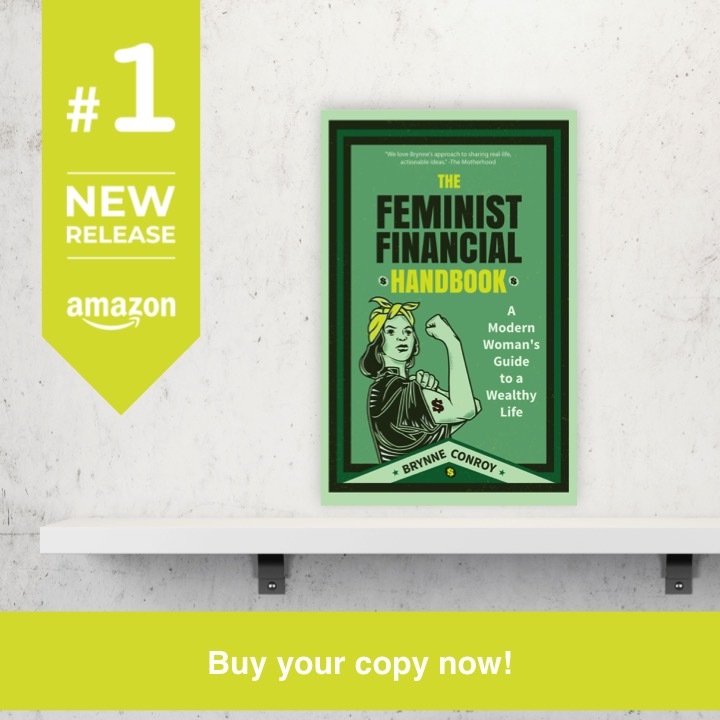 This entry was posted in Family Finance, Ways to Make Money on October 25, 2017 by femmefrugality. Wow, the savings that are shown in the KPMG study blow me away! While I was very thankful for my job and my 12-week maternity leave, I agree that we need to add a 5th trimester in some way to allow for further infant growth and bonding, maternal recovery and overall health of families. Staggering, right? I never qualified for any type of leave, but I then chose to go back to school during my pregnancies. I was fortunate to have a program director who was empathetic with my cause, and helped schedule my internship around childbirth, etc. I didn’t come back to school for about two months at the longest stint. Was so appreciative of what everyone did for me, but learning the science on this is mind blowing! Parental leave in the United States is an embarrassment right now. It is absolutely crazy how quickly we push women back into the workforce. I’m hoping that the Millennial focus on flexibility turns into policy as the Millennials gradually take over government. In the meantime, I hope more companies see numbers like these and recognize that paid leave is in their own best interest! I sure hope so, too, Matt! It’s insane, based in old prejudices, and doesn’t help anyone. I’m lucky enough to be have a one year maternity leave. 6 months is topped up by my employer and the remaining six months is EI. I couldn’t imagine going back to work At 12 weeks because babies aren’t really sleeping through the night at that time. Oh, Canadaaaaa! And, yes, it’s insane. That 12 weeks isn’t even paid, and a bit less than half of American women don’t even qualify for it. So 44% of American women don’t have a guarantee that their job will be there when they come back–even if they take less than 12 weeks. Whoa. That is crazy money. So much agreed. It makes you wonder why on earth every single company isn’t adopting more comprehensive parental leave policies. It’s short-sighted and a bad financial move for everyone involved. This spring my university started 12 weeks paid child leave-for mothers and father, including those who adopt. This is in addition to FMLA. My university is one of the major employers in the state and I am hoping that other employers are going to take their lead (they did when they started raising the minimum wage they’d pay.) It’s not enough, but it’s a start. That’s a huge step in the right direction! Are they offering it to adjunct faculty, too?